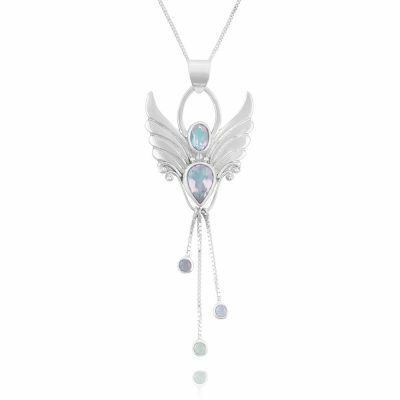 A beautiful angel for help with developing self-confidence and self belief. 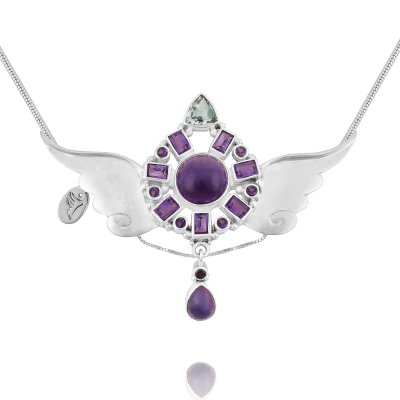 A necklace to invoke inspiration, creativity and courage, and to let your light shine! 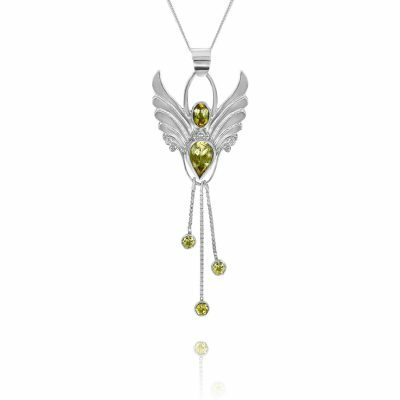 The Angel Necklace for self-confidence, with topaz gemstones. 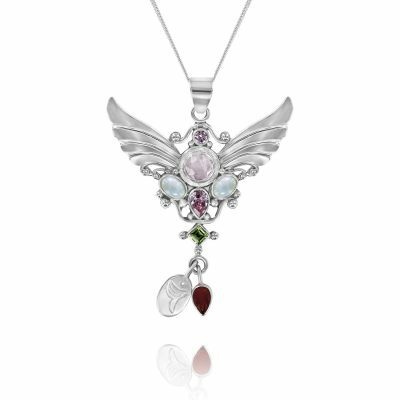 If you are seeking to develop a real, lasting sense of self-belief, the topaz angel necklace for self-confidence will greatly benefit you in this area, as well as providing relief from unwanted, low vibrational thought patterns. 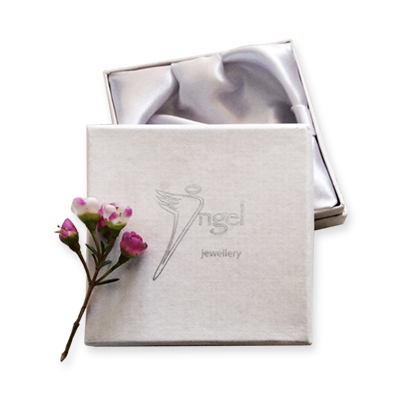 I know as well as anyone how hard we can be on ourselves, so I was inspired to make the angel necklace for self-confidence, to help us as we develop a real sense of self-belief, and she has definitely helped me and many others enormously. With 5 clear blue topaz gemstones set between our iconic, silver angel wings, this necklace will also give encouragement and inspiration to healers, actors, writers and artists. 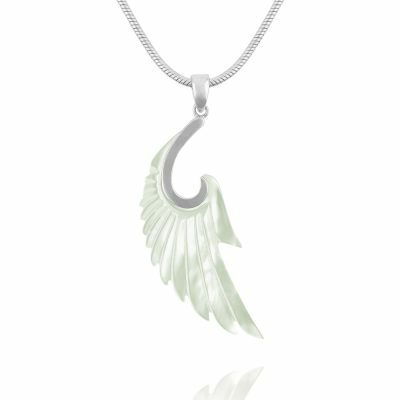 This is also a really lovely angel for teenagers, or anyone who is going through the natural, but often painful process of self discovery, and will help those who need to stop comparing themselves to others and start believing in themselves, and their uniqueness.